Datacom Group late last month issued a results statement to the media, bereft of year-on-year profit numbers and ahead of the release of its annual accounts at the New Zealand Companies Office. With those financial statements now available, Reseller News decided to take another look and see where - and why - the trans-Tasman company experienced a sharp fall in profit. 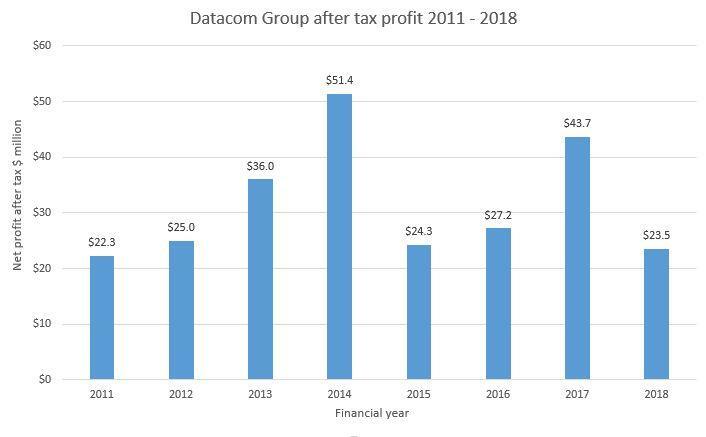 Datacom's employee and other expenses spiked sharply during the financial year to 31 March, driving the ICT services giant's profits down to a seven-year low. Net profit after tax fell from NZ$43.7 million to $23.5 million year-on-year while basic earnings per share fell from $6.91 to $3.64. Privately-owned Datacom has consistently grown its top line sales every year for two decades and did so again in 2018, from $1.16 billion to $1.27 billion, but increased costs outpaced that sales growth. 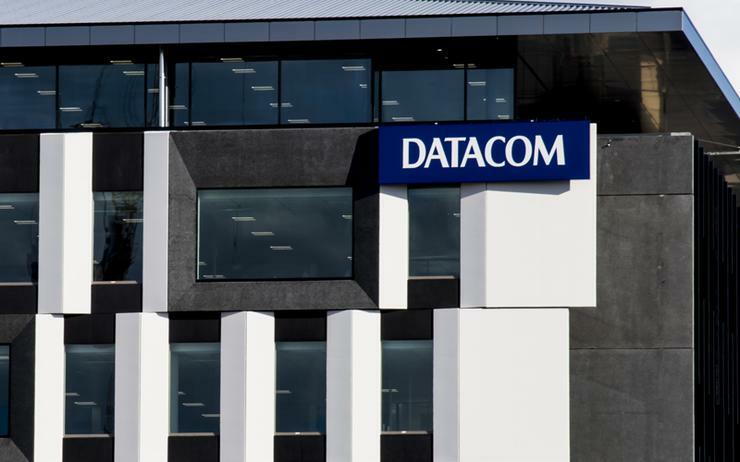 "Some of the strategic wins signed during the period saw Datacom make upfront investments in infrastructure and specialised staff to meet customer requirements, such as ‘as-a-service’ contracts," a Datacom spokesperson told Reseller News. "There were cases which saw Datacom have to invest more in projects than originally anticipated to ensure we delivered on customer requirements. As these projects mature, Datacom expects to see a positive return on these strategic investments." In brief, employee costs surged by over 10 per cent from $505.7 million to $559.2 million, while other expenses increased by more than 20 per cent, from $103.2 million to $128.8 million. Datacom said its long-term strategy has always been to reinvest much of its previous years’ profit back into the business to help further grow and develop new IP, build better physical infrastructure, and enter new markets. Capital expenditure increased by 53 per cent over the prior year to $55.4 million, and operating expenditure on major investments increased by 35 per cent to $19.1 million. "This strategy is unchanged," a spokesperson added. "These investments are designed to position the company for the long term, which is reflected in Datacom’s 20 years of continuous revenue growth." Datacom's spokesperson said the company has continued to move away from being a low-margin commodity reseller, to focus on higher margin professional services, investing heavily in developing new capabilities around digital transformation for customers. Read more Data breach notification laws in NZ: how can partners prepare? "You can see this reflected in our increased capex and opex investment and increased specialist staff numbers to cater to this emerging demand," a spokesperson added. Furthermore, employee numbers increased to 5332, up 9.3 per cent from 2017, while spending on contractors and temporary staff also rose to $36.3 million from $28.8 million. New investment areas focused on custom software development, customer experience design, data analytics, DevOps practices, testing and operationalisation, cloud transformation, automation, robotics, artificial intelligence, and cyber security, the spokesperson said. Datacom will start rolling these new products out in the current financial year. "This process is ongoing and will accelerate under our new organisational structure," the spokesperson told Reseller News. Data centre investments on both sides of the Tasman were announced during the year as was investment in new IP including a Datacom Network Automation product, dubbed DNA, public and private cloud platforms, contact centre as a service, two new local government products and new payroll products. Some of the increased costs were one-offs. Depreciation, amortisation and impairment costs were up 10 per cent from $32 million to $35.4 million - within that category, depreciation actually fell slightly. It was a written down investment that accounted for most of the increase in costs. Datacom recognised a $3.7 million impairment on its 20 per cent stake in Australian company Smartward Holdings, a specialist in management of activities within hospital wards and a less significant $516,000 goodwill impairment on two of its other Australia-based subsidiaries. "Datacom is continually looking for opportunities to develop new products, new solutions, and above all, create new experiences for our customers," the spokesperson added. "Smartward is one of these key investments for the future. Datacom continues to pursue Smartward contracts that align to this strategy, but some of these potential opportunities did not come to fruition in the 2018 year as planned. Other investments during the year included new offices in Adelaide, Auckland and an office expansion in Singapore.